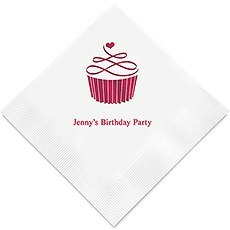 A zillion reasons to throw a party, we’ve got the perfect paper napkin to make it special. Make any celebration feel more personal when you design your own napkins at Weddingstar. 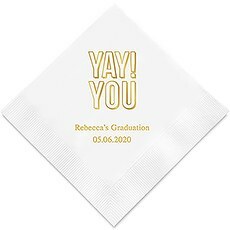 Our customizable napkin templates allow you to add a personal touch to these important milestones in life. 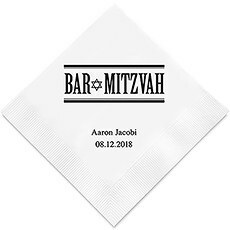 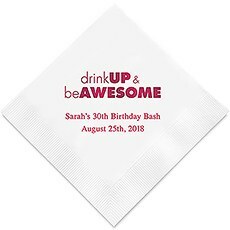 Whether you're in need of first communion napkins, bar mitzvah napkins, wedding napkins or napkins for another type of celebration, you'll find a stylish and fun selection of customizable designs when shopping for party and wedding decor on our site. 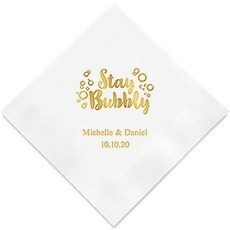 And with so many options from which to choose, it's easy to discover a design that suits your style while enhancing your other decorations.One of the best things about our personalized napkins at Weddingstar is that just about every element of the design can be customized to suit your needs. 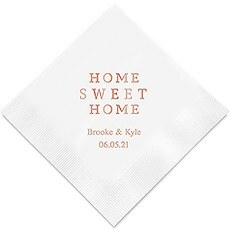 Looking for napkins that complement your color palette? 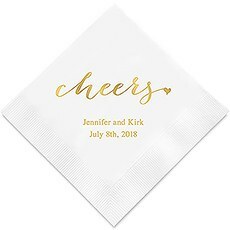 Pick out wedding cocktail napkins that match your reception or paper Christmas napkins for a holiday soiree with our choice of 26 pretty napkin colors, plus a variety of matte and metallic imprint colors. 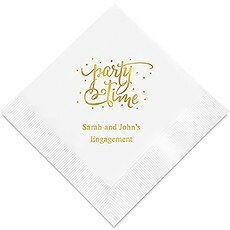 You'll also get your choice of three sizes to suit the occasion: cocktail, luncheon or dinner napkins. 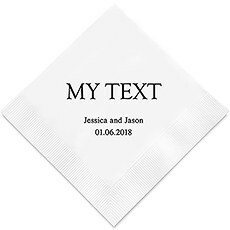 Next, it's time to personalize your text. 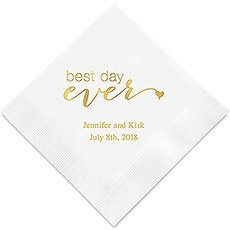 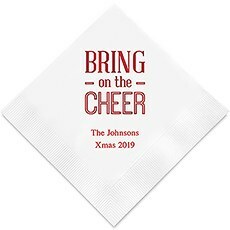 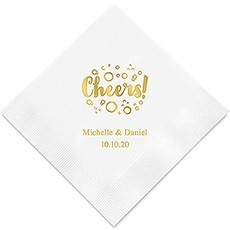 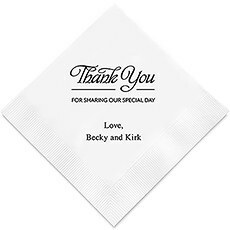 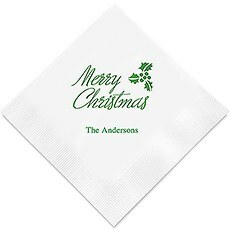 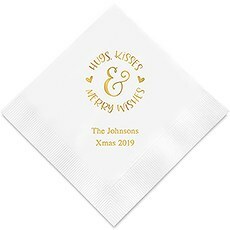 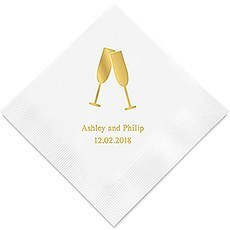 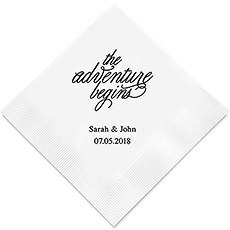 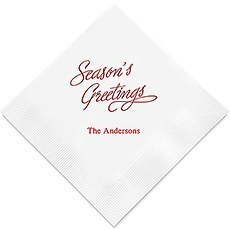 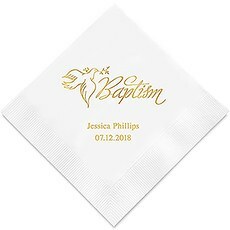 Consider adding the name of the happy couple or individual being celebrated, or the date of the event to give your special occasion napkins a custom touch. Combine your text with one of our gorgeous graphics or trendy wording logos to complete the look.Making important celebrations feel even more special is our specialty at Weddingstar. 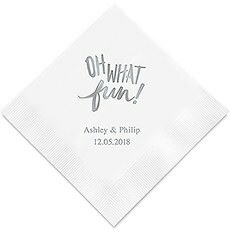 Besides our customized napkins, you'll find all kinds of unique cake toppers, table planning accessories, personalized stationery and other must-haves for a memorable event. 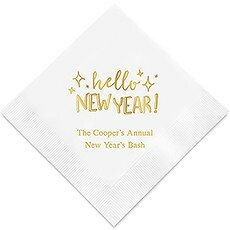 These items allow you to put your own personal spin on important events like New Year's Eve parties, weddings, bridal showers, anniversaries and more. Find everything you need for a remarkable celebration when you shop online for affordable party and wedding decor at Weddingstar.